The world prefers to watch instead of reading. But now the world is becoming more smarter by moving from static images towards videos. It’s not surprising for us that Facebook is quickly going to convert the social network environment into video friendly. One of the good examples of this is the latest change in Facebook is giving the business page the ability that they can replace their static cover image into the video. This is hugely advantageous for business as video combine visuals, sound and text you can bring a lot of information in a very short space of time and with much greater impact. By featuring the right video as cover page video and in under 30 seconds explaining what your business does, what makes it unique and why customers should buy from you will be attractive and simultaneously advantageous for any business. A good video will also convey the quality of your brand in a way which is dynamic and engaging. Interested in setting up your own Facebook cover video? Step One: Go to your Facebook Page. You can find this on the Page tab under EXPLORE. 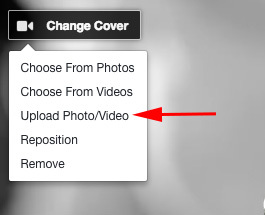 Step Two: Click on the Change Cover button at the top left-hand side of your current cover image. 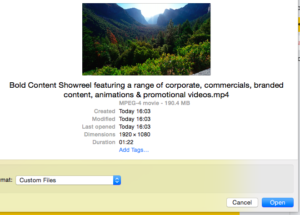 Step Three: Click on Upload Photo / Video from the drop down menu. If you have already uploaded the video you want to use then select Choose From Videos. Step Four: Find the video on your computer and then click on Open. Step Five: Wait for the video to upload. Once it is uploaded click on Next. Step Six: If you want the video to Automatically loop the video then leave this option selected. If you are not looping the video then make sure to select an appropriate thumbnail. Once you are happy click Publish. We are from The Jigsaw. If you’d like to create your own Facebook Cover Video then we are to help. We can even assist you with adding it to your Facebook Page.